Our goal is to search for properties, especially in the Petersburg, Tri-Cities and surrounding counties and prepare these properties for minor or extensive renovation to give young job seekers the skill needed for the artisan trade. 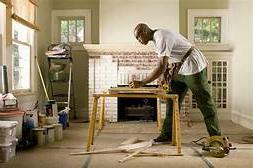 Skills like Carpentry, Electrical, Plumbing, Heating and Air, Sheetrock Installation, Painting and etc. Talented young people with a vision, and skill to create finished product design and home decorations will be enlisted in the compete restoration program. We also seek craftsmen of all ages and/or retired, to help mentor these startup careers. Their tools will be the properties you donate, together with donated and purchased materials. 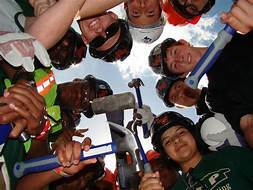 We plan to pay a wage to all apprentices as they learn their field of skill, and pay mentors a workiing wage as needed or with their donated time. complete, we will seek their sale as residential or commercial properties. The proceeds will be used to fund further skill development with existing or new artisan trade apprentices. We appreciate your help in this enterprise. Your donated property, residential or commercial, rental or even vacant property which could use updates or renovation is desired by Enable Foundation. a certified not-for-profit organization with all the charity tax advantages for your donation.